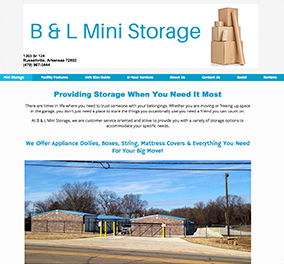 With a storage website, potential customers can always find you. 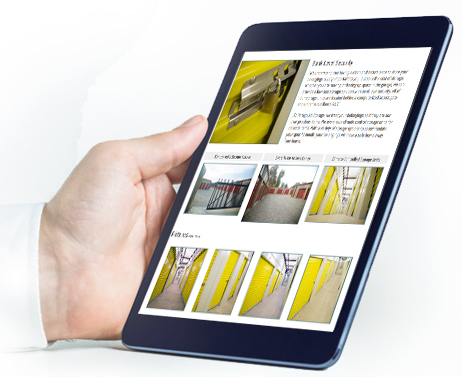 Let your customers virtually browse your facility online, by uploading beautiful, high-quality pictures of your units. Show off your security features as well, and give them peace of mind when renting from your business. 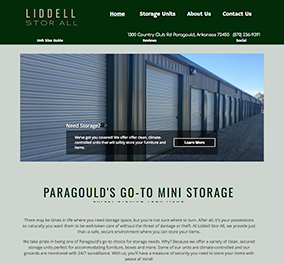 Your storage website will be mobile-ready, user-friendly, and will look great on any device. So, no matter what your customers need, you’ll be there for them. Customers have questions. We make it easy for them to get the answers they need, quickly. We put your contact information front-and-center, so customers can contact you at any time. Customers want to know that they can trust you with their valuables. Online reviews are necessary for building that strong customer trust. A storage website will help establish a positive reputation and build your brand through personal experiences. 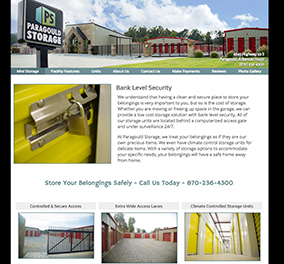 With a storage website you have the capability to offer great discounts, specials and other online promotions to persuade your customers to use your facilities. 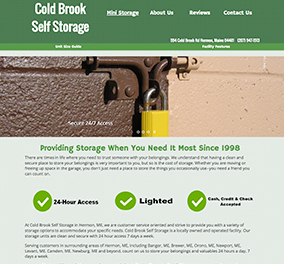 We work with you to develop your ideal storage website design. And help your customers secure the things they care about.